Organ transplantation is a significant risk factor for the development of skin cancer. The impact of skin type, immunosuppressive regimens, and photosensitizing agents requires further study. The objective of this study was to compare skin cancer development between Caucasian and non-Caucasian transplant recipients at the University of Southern California. We performed a retrospective chart review of lung and liver transplantations to determine the incidence of post-transplant skin cancer. Participants included patients who underwent lung or liver transplantation between 2005 and 2013 at our institution. Patients included in the study were limited to those who survived through the study observation period. We analyzed 475 patients who underwent transplantation, including 370 liver transplant recipients and 105 lung transplant recipients. Among these, 46.3% identified as Caucasian, while 53.7% were non-Caucasian. Over a mean follow-up of 7.9 years, 11.8% of Caucasian patients developed at least one skin cancer, compared with 2.7% of non-Caucasians (p < 0.001). However, irrespective of race, skin cancer development was significantly greater in lung compared with liver transplant recipients (20.0% vs. 3.2%, p < 0.001). The standard immunosuppressive and prophylactic regimens were mycophenolate mofetil and tacrolimus based for both transplants. Mycophenolate mofetil was maintained throughout the course in lung transplant patients, whereas this agent was reduced and terminated when possible in liver transplant recipients. In addition, during the years examined, voriconazole, a known photosensitizing agent, was used in lung transplant recipients to prevent aspergillosis. Fair skin type increases post-transplant skin cancer development, irrespective of the immunosuppressive regimen. A higher risk of skin cancer is associated with different regimens; in particular photosensitizing agents may increase risk in transplant recipients. The authors acknowledge Griselda Hagmaier, MBA, MHA for administrative support in the process of obtaining study approval. Findings of this study have been presented in part at the American Academy of Dermatology 2018 annual meeting in San Diego, California by Cohen et al. and Krivitskiy et al. Brandon E. Cohen, Igor Krivitskiy, Sarah Bui, Kevin Forrester, Jeffrey Kahn, Richard Barbers, and Binh Ngo have no conflicts of interest that are directly relevant to the contents of this article. The Institutional Review Board of the University of Southern California approved this study. 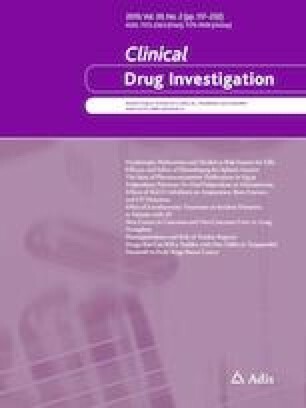 Informed consent was not obtained because of the retrospective nature of this study and the determination of lack of potential harm to subjects.